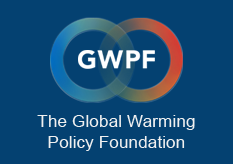 The Global Warming Policy Forum regards the decision by the US administration to withdraw from the Paris climate accord as the inevitable outcome of a fatally flawed process. “The Paris climate agreement was pushed through against the declared will of America’s elected representatives. US leaders and critics had warned international leaders repeatedly that the US Senate rejected Obama’s deal and that a Republican president would shred it to pieces. Now the Paris accord faces the same fate as the Kyoto Protocol which also ended in failure”.